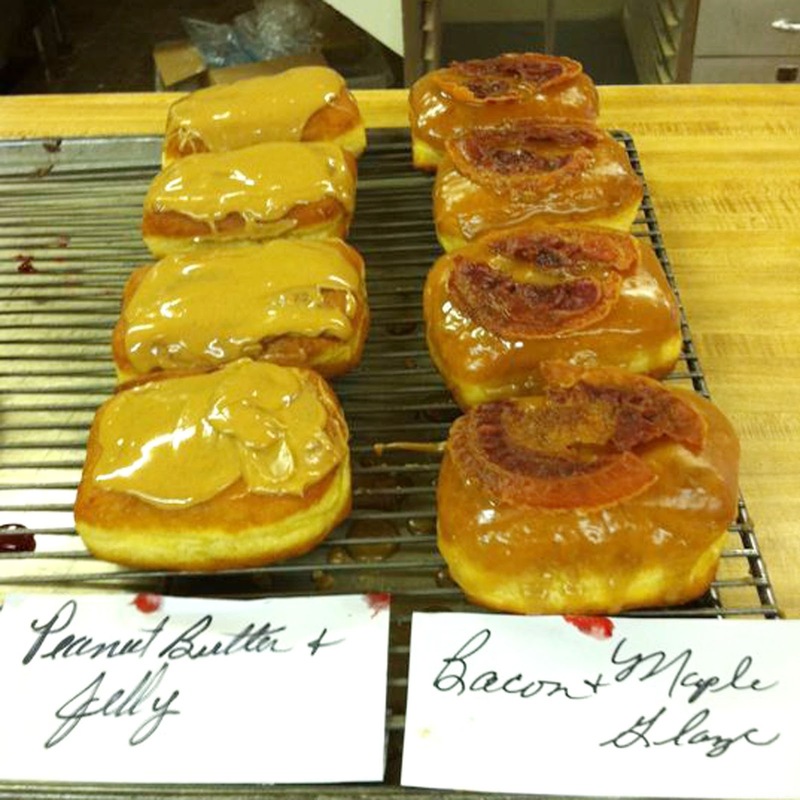 South Arkansas boasts two bakeries with a similar product – a singular item that ties them to a 70+ year shared history with more than 600 other locations. 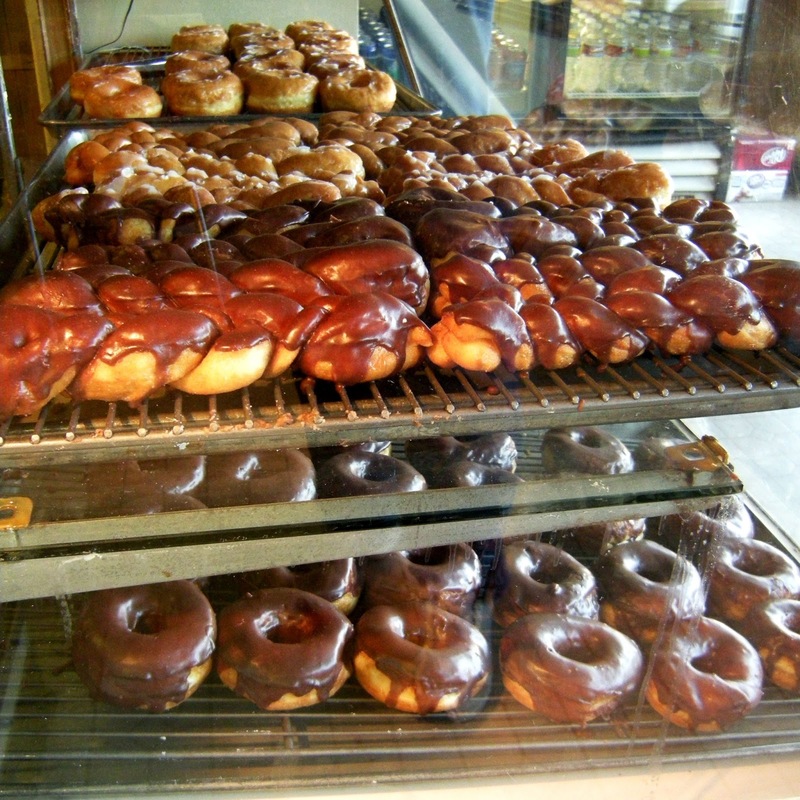 Spudnuts were the creation of Al and Bob Pelton, two Salt Lake City boys who first encountered potato-flour doughnuts in Germany. 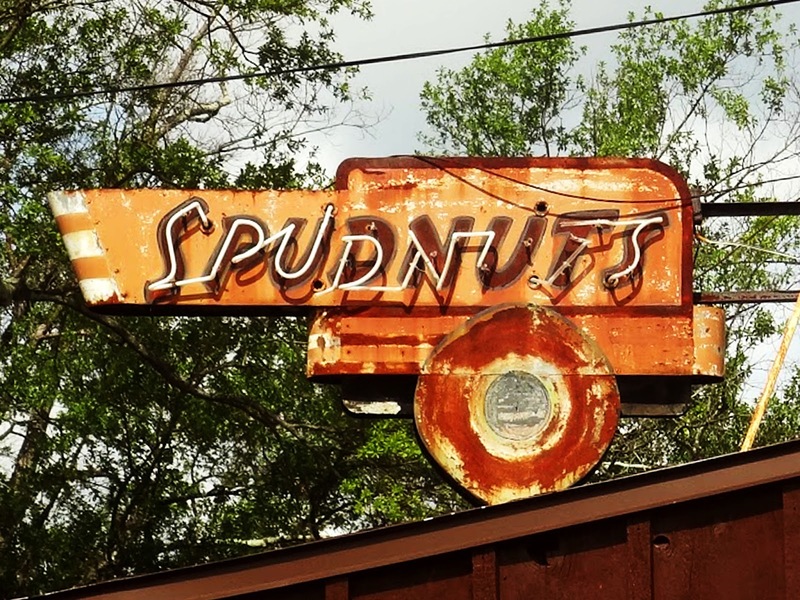 They came back to the States in the late 30s and attempted to recreate the addictive rounds themselves – and succeeded with a recipe they started utilizing in 1940 – which became the heart of their Spudnut Shop franchise. Six years later they had 200 stores that utilized their dry spudnut flour in the making of golden rounds. 20 years after that they were stretched coast to coast with more than 600 outlets. 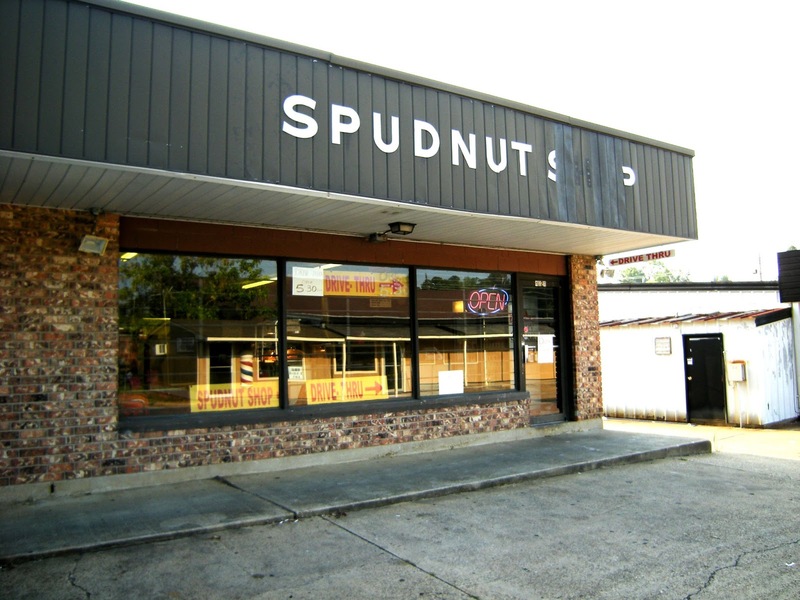 Spudnut was a big deal… but big deals lead to the end of that franchise. 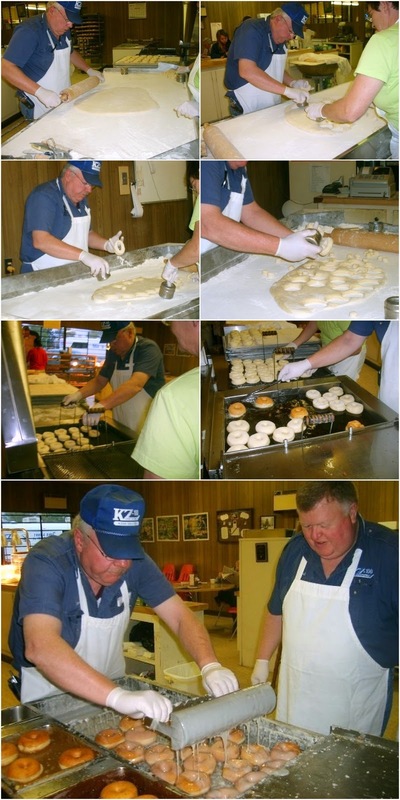 It started with the Peltons selling their company in 1968 to National Oven Products, owned by Pace Industries. 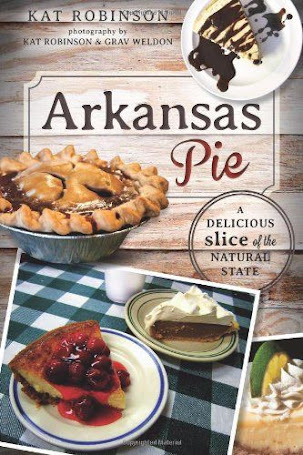 Pace turned around a few years later and sold off National Oven Products to Dakota Bake-N-Serv… which itself went away after some bad business by its owner. The company and its company and Spudnuts the franchise all evaporated with a conviction of fraud and conspiracy in 1979. Franchisees were left holding the bag and most disappeared within 10 years. But not all of them. 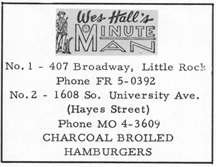 Two of the franchises held ground here in Arkansas – one in Magnolia, opened in 1959 – and the other in El Dorado, opened in 1948. The two stores have differently styled buildings and different vibes… but they both still sell the golden rings six mornings a week. Daisy Stringfellow started the one in El Dorado. She discovered them on a trip to visit relatives in Oregon, and visited one of the original Salt Lake City Spudnut Shops on her way home. 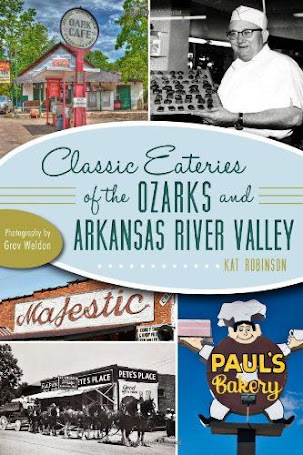 By the time she arrived back in LA (Lower Arkansas), she had decided she wanted to own one of those franchises. Her daughter Nancy Varnell and son-in-law William Varnell are co-owners today – and Bud McCann is still the only manager the store has ever had. The El Dorado store is more art deco, more stylized on the outside with a tiny dining room within. 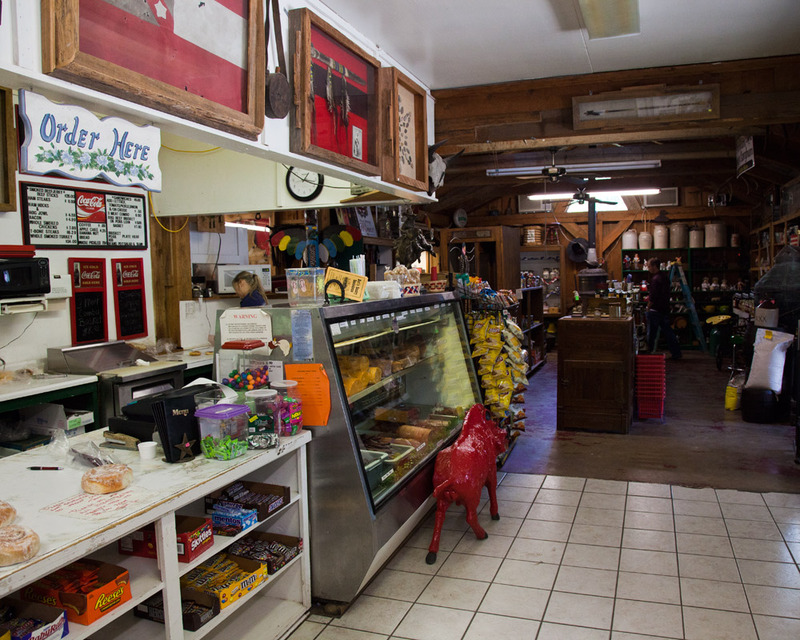 In Magnolia, it’s more of a country-style diner. 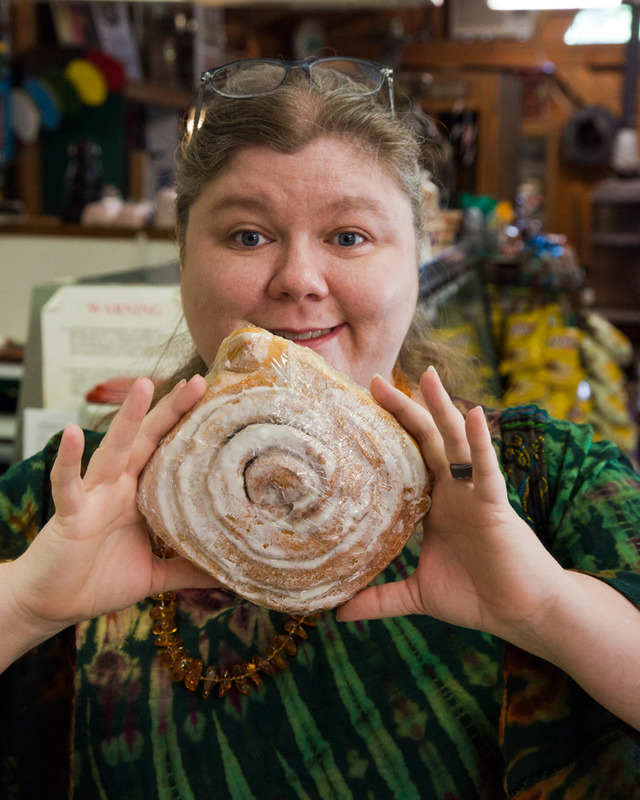 Magnolia’s store sells more than pastries, though… in fact, they do sell something called Pigs which seem to be a pastry-wrapped turn on the traditional pigs-in-a-blanket. 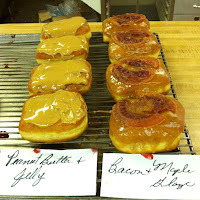 They also do some weird varieties of Spudnuts, such as peanut butter and jelly – and bacon maple. Indeed. While the two stores have a different atmosphere, they do share their mix with each other when one or t’other is running low. That’s saying a lot – since it has been made from scratch since the franchise disappeared. 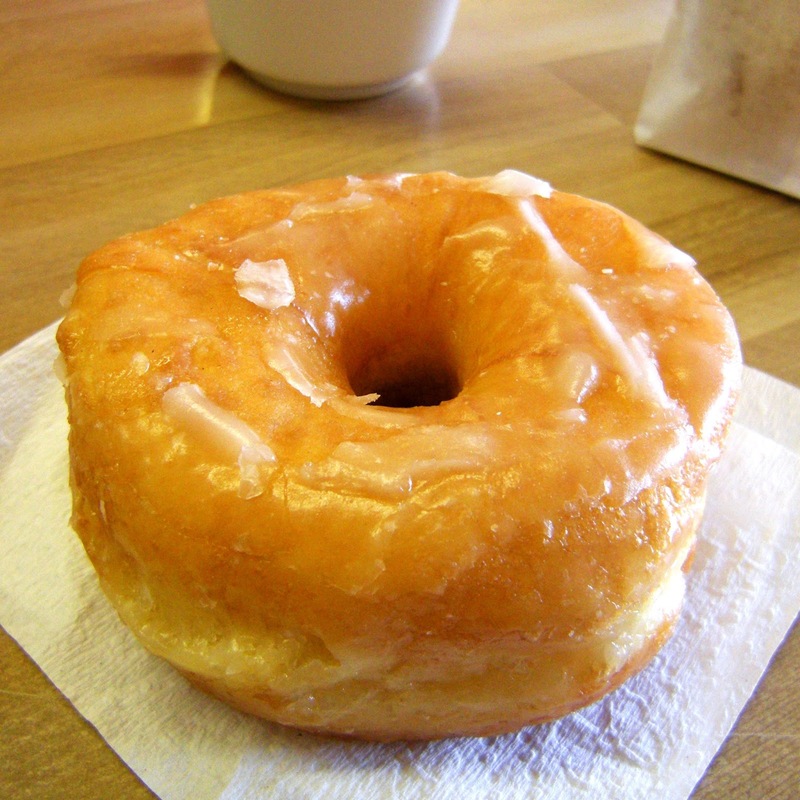 If you haven’t gone for a Spudnut before – you start with the plain Jane glazed round. 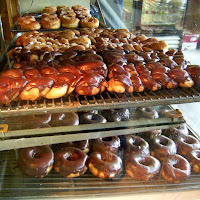 For one, Spudnuts seem to be thicker to me. Not in the consistency, mind you, but in the fluff. That potato flour fluffs up high. One bite, and you get it. There’s a substance to it – yes, it still melts on the tongue like all good doughnuts, but you feel as if you’re eating something more than just sugar and air. 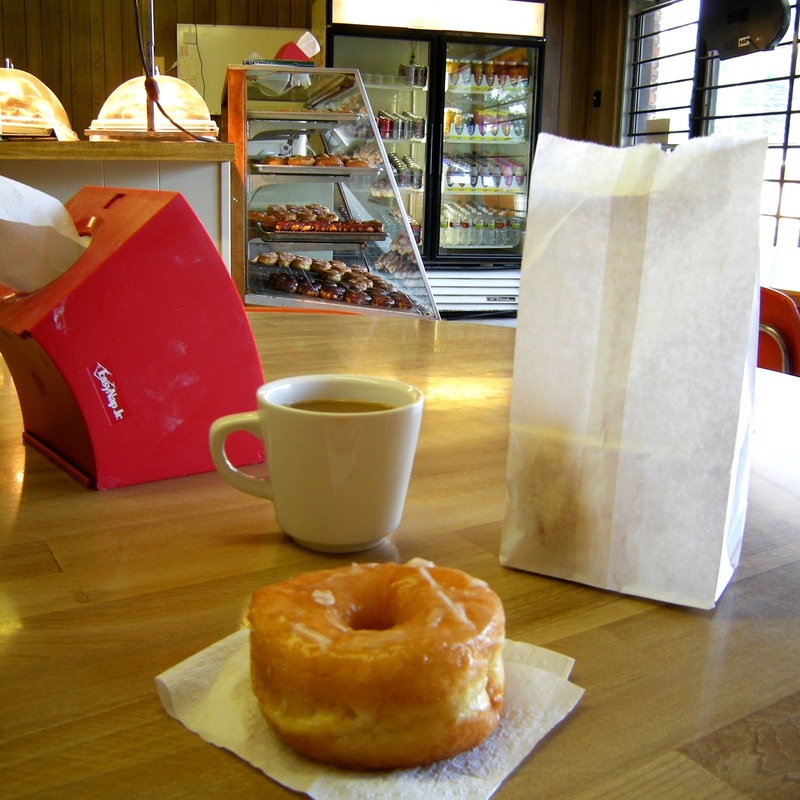 Spudnuts are the sort of doughnut that prefers coffee to chocolate milk or cocoa. The round has heft. It has delight. It has an addictive quality that doesn’t leave your system. 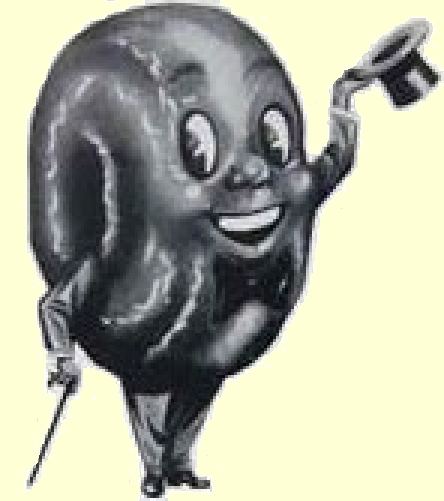 Nay, I have indeed heard time after time about individuals who have driven three or four hours to arrive while a Spudnut shop is still open. I know – I’ve been one of them. Here’s the other thing about a Spudnut: they don’t keep. After six hours you might as well give up on them, put what you have left in a bread pudding or something. The same pliancy that makes the rounds rise so high also pulls them back to Earth and makes them chewy. Hungry now? Good. 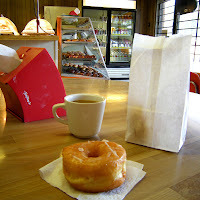 Tomorrow morning get up early and drive to either El Dorado or Magnolia and have yourself one. 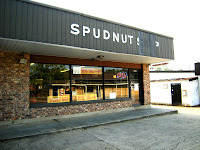 The Spudnut Shoppe is at 810 West Faulkner in El Dorado, (870) 863-9914 – or find the other Spudnut Shop in Magnolia at 612 East Main Suite B, (870) 234-2005. 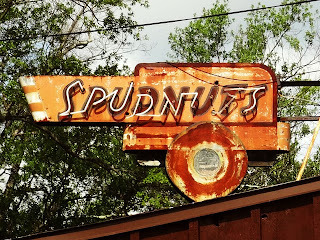 If you’re a Spudnut fan, do yourself a favor and check out this website. 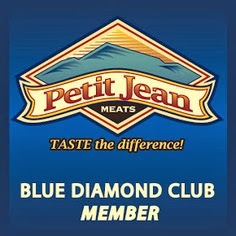 And you might be interested in this website if you are a home cook. At the end of 56th Street, the cut-through to University Avenue, there was a Minute Man restaurant. 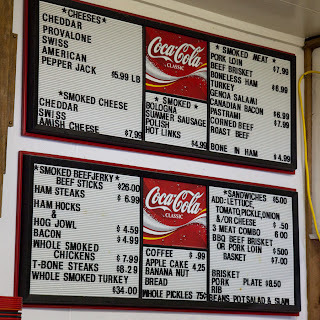 It was on the south side of the intersection, across from Zimmerman’s gas station, and from time to time if we could afford it I could have a nice, mean and hot burger on a toasted bun. And if I was really good, I got ice cream. 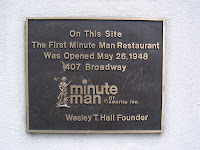 There was also a Minute Man on Broadway, and it was there through my high school years. I recall going in as a little girl with my mom. 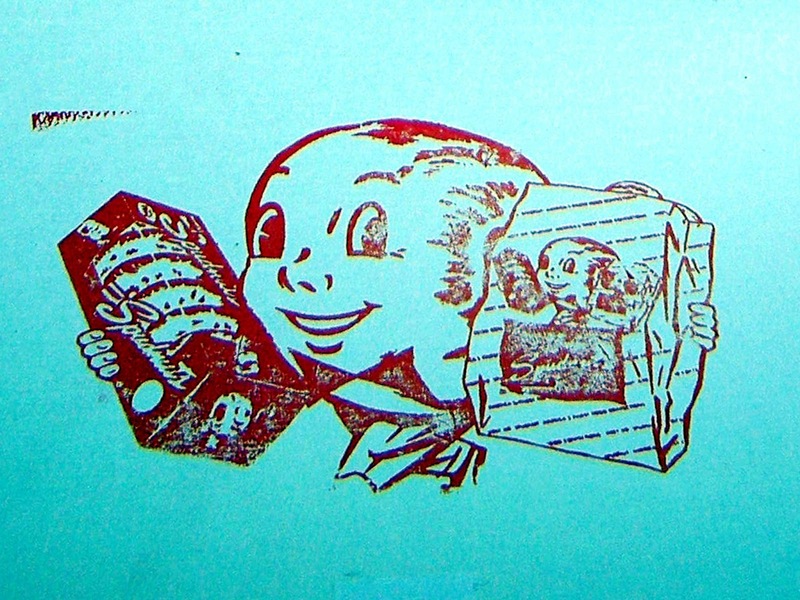 They had just introduced their first kids meal called the Magic Meal (this is the late 70s) and my first one had come with a little green army man. The second one, my mom pulled out the burger and I took a bite and started to cry. There was a piece of gristle inside, or maybe some hard cheese or something – and I thought they’d put the little green army man on the burger and it had melted. 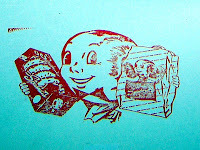 My memories of Minute Man come from childhood. Today they’re all gone, save for one lone holdout in El Dorado – too far for me to grab a #2 on my lunch break. You remember the #2, right? The smoke burger? Char-grilled and dolloped with a liquid smoke goo, never equaled by Sonic (funny, I don’t think they offer a smoke burger any more, either). I can still recall that exact slightly woody flavor. Vernon Rodgers and Wes Hall. eventually bought out before franchising the operation. before the Big Mac. And about half the burgers if you ordered them as they came (which really was the deal before Burger King started telling people to “have it your way” in the 80s), came with a smattering of “relish sauce” on the bun instead of mustard or mayo – relish sauce being very close to the Thousand Island-type sauce slathered on the Big Mac today. 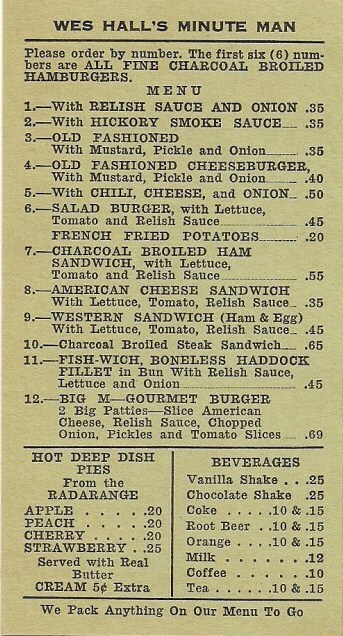 Oh, and if you wanted the lettuce and tomato on a burger like they’re all about served today, you had to order the #6 – the salad burger. My mom and I moved to Little Rock in the mid-70s, and I grew up half a mile away from one of the University Avenue locations. It was absolutely as far as I dared to walk from the house, being on the other side of Geyer Springs Elementary by about three blocks. One of those most poignant childhood “fails” I recall was when the place started serving hard-scoop ice cream out the window. I was thrilled to get an ice cream cone with two scoops, side by side in what I believe was called a Sweetheart Cone. I remember going up to the window and waiting while my mom sat in the car. I paid for the treat (I think it was a dollar), turned around and promptly faceplanted on the concrete. Saved most of the cone – except for the very bottom. There was a rush to finish the ice cream before it melted out onto my lap, I remember. By the time I was driving, the Minute Man still open in Little Rock was a block up from the original at 311 South Broadway. The building, if I recall correctly, was painted a pungent green. 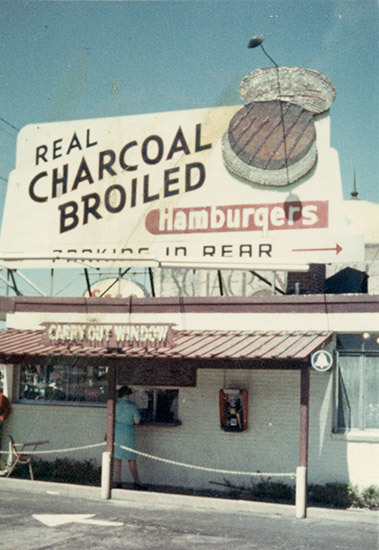 The interior was dark, and it was often quiet… unless you went at the lunch hour, when generations of traditionalists and Boomers squeezed in for a pick-up order or to quickly manage to consume a burger and fries. It closed for good in June of 2002 to make way for the new Federal Courthouse expansion. 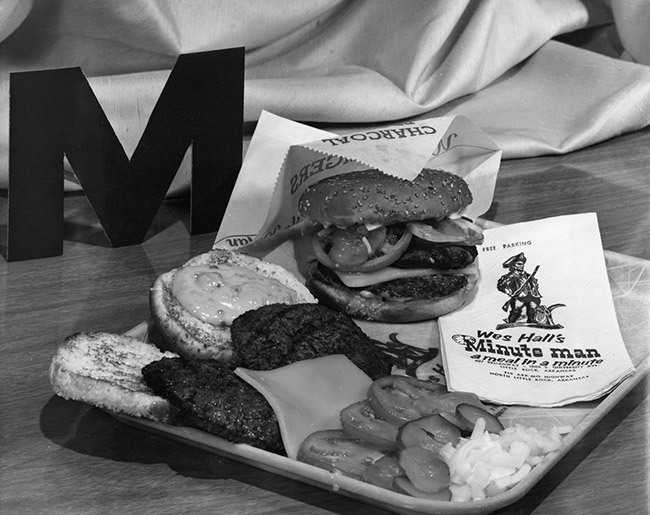 By that point, most of the other franchised restaurants had also met their demise – with the exception of that lone El Dorado holdout. Wes Hall didn’t live to see the end of that dream – he passed away a month beforehand. 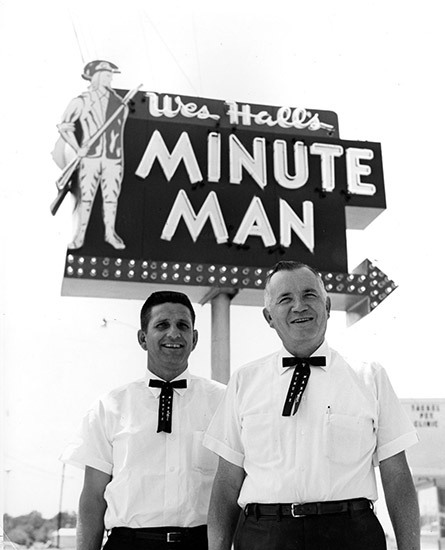 Will the Minute Man ever come back again? 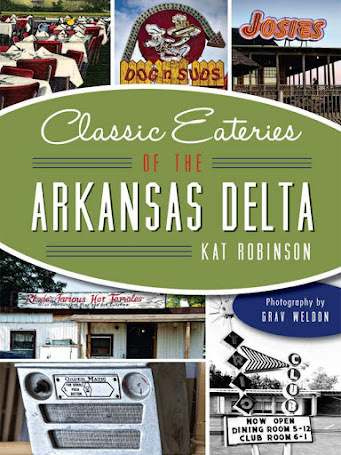 According to a posting on Roadfood.com’s forums, the El Dorado restaurant is still serving the same recipes up (I know it also serves cheese dip and burritos, which I don’t recall from the original) – and there was as of December 2012 someone considering opening a new Minute Man in Little Rock. I’m sure if the recipes are followed, that old smoke sauce is brought back and the prices are reasonable, the crowds will follow. One more note. There's a man who's claimed to have raised me... that'd be the newscaster known as Craig O'Neill. One of these days I'll tell you why. For now, here's a link to the report he did for THV 11 (my old station) about Minute Man and its place in Arkansas history. When I was growing up in Little Rock, there weren’t many opportunities to get good Greek food. In fact, I didn’t know how to pronounce “gyro” until I was a teenager. 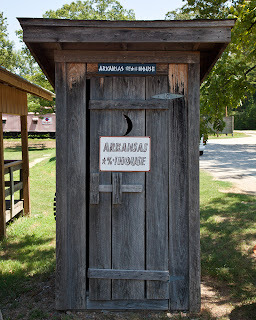 My experience and exposure was usually limited to the Greek Food Festival and the Arkansas State Fair. And then there was Leo’s Greek Castle. Nestled in front of a shopping center in Little Rock’s Hillcrest district, the blue-awning adorned building has been perched along Kavanaugh since the 1920s. 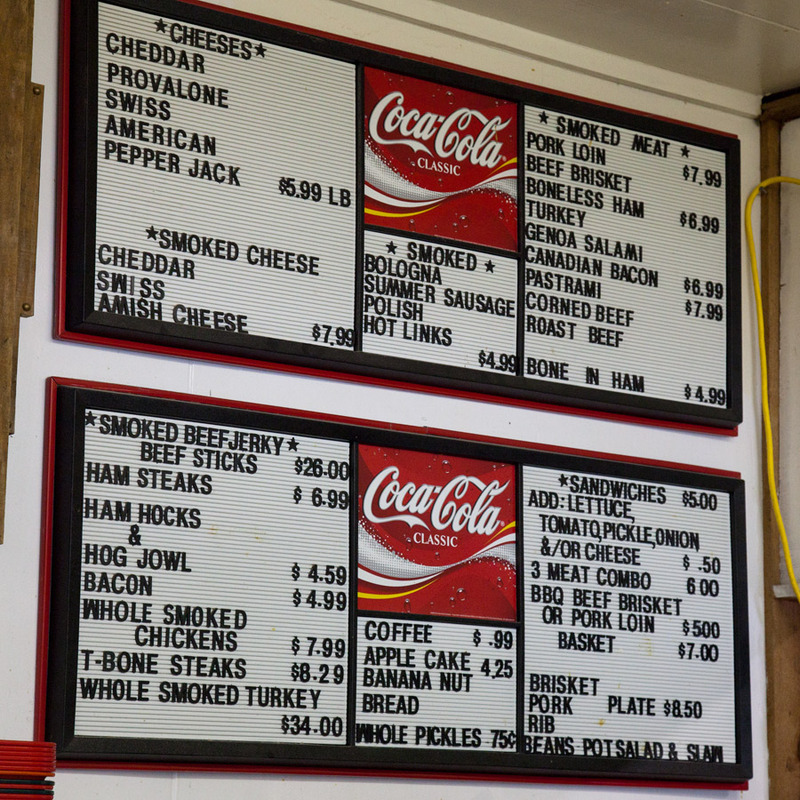 Since the 1970s, it’s served up a combination of traditional Greek dishes, burgers and one killer Cincy dog to locals who mostly have kept it to themselves. 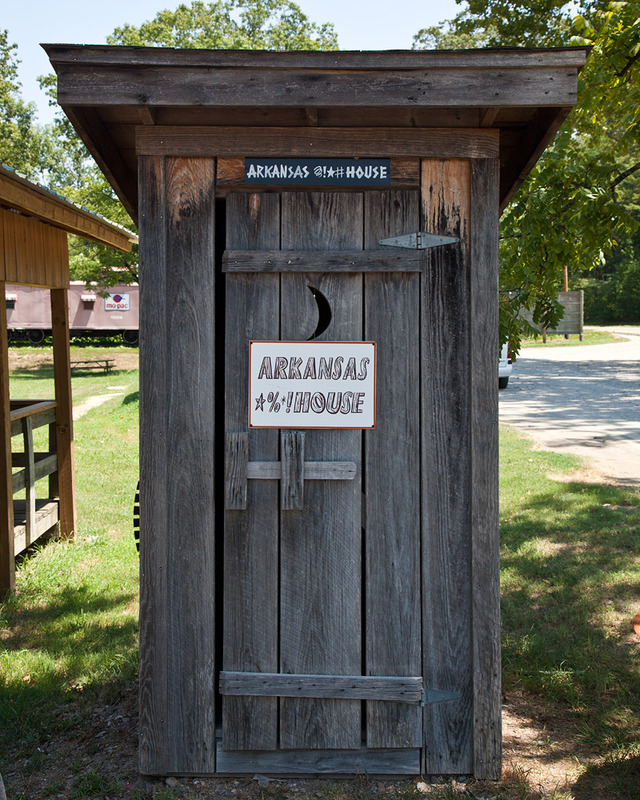 The tiny oddly shaped building started out life as a gas station, oddly enough. There’s still an empty storage tank located under the place, I’m told. 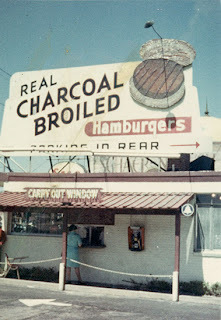 In the 1950s it housed a barbecue joint come drive-in that offered take-home family packs and curb service. And then some time in the 1970s Leo’s was born. Gyros and such were new and unusual for a lot of the folks living in Hillcrest, and hummus even more so. 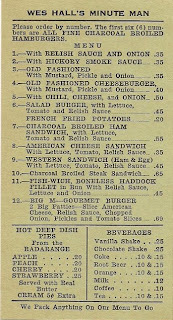 But the restaurant’s ice cream and burger offerings kept people coming in. 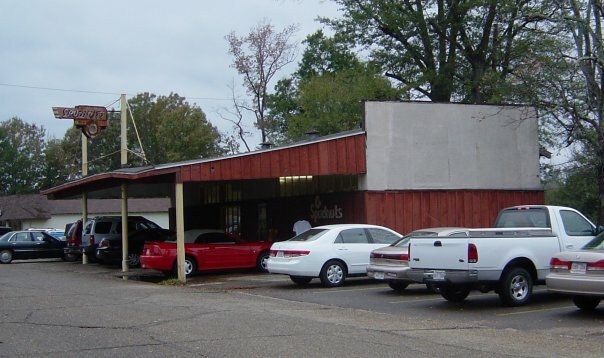 I ask folks about Leo’s from time to time, and people who lived in Little Rock for only a short time will recall the place – even if they only passed through the area once or twice. Some talk about the tiny triangles of baklava, some about that Cincy dog. All of them will tell you the same thing – unless you don’t mind literally rubbing your elbows with the folks at the next table, place a take-out order. That’s because the diminutive eatery’s dining area is about the size of a single car garage. Within, there are six tables leveraged in to the left of a counter and ice cream case. But it has its high points. It’s the only place in Arkansas I’ve found that serves honest to goodness pastichio (also called pastitsio) with the béchamel sauce and the oh heavens it’s so rich but it’s so good and all that. It’s also the only place I know where you can get a “Greek Omelet,” an omelet filled with gyro meat, in the state. And I love both. Leo’s has gone through several hands over the years, but it has found stability under Hector Parodi, who I believe has owned the place since 1996 (I was told 14 years by a staffer, but those numbers seem off). With so many other ethnic offerings brought in over the past decade or so, you’d think it might have suffered. No. Leo’s is still going strong. You’ll find Leo’s Greek Castle at 2925 Kavanaugh Boulevard in the Hillcrest district in Little Rock. 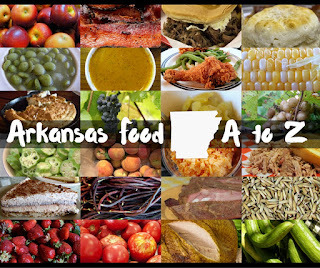 (501) 666-7414 or check out the restaurant's Facebook page.